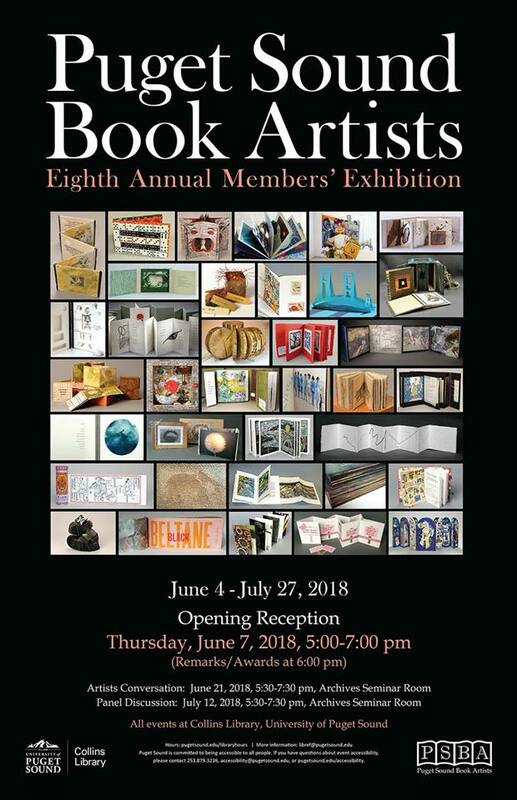 Puget Sound Book Artists, 8th Annual Members’ Exhibition. Collins Memorial Library, University of Puget Sound. More information available at Puget Sound Book Artists’ Facebook page or at South Sounds Arts, Etc blog.